Recover any data from the Android phone with few clicks. It works well to retrieve contacts, messages, call logs, message attachments, gallery, photos, videos, audios and more documents on Android phones/tablets or external SD card. 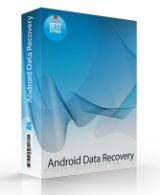 iVoicesoft Giveaway offer 7thShare Android Data Recovery 2.6.8.8 for free download. 7thShare Android Data Recovery 2.6.8.8 may be only available to FREE download in published day, 15 Apr 2019. Next day, we will offer new Giveaway. Check it now!